Watch this video (shot by BJ Norris) of the recent Single Stack Classic at time index 2:25 onwards, Dave Sevigny (aka android) shoots a variation of the el-presidente from a seating position. what’s interesting is you can clearly see the holes in the middle target. 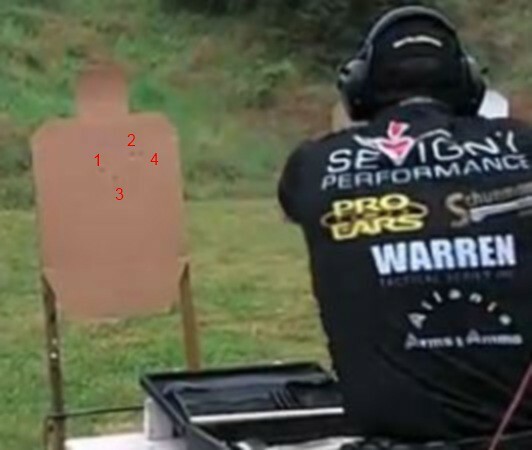 As he shoots, the 1st shot hits dead center in the A-zone, 2nd shot of the split slightly to the right, as if he’s already transitioning to the far right target.